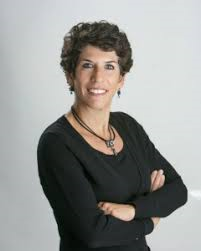 Business Success Series with Rachel Kodanaz - Feb 26, 2019 - Member Page — Cherry Creek Chamber of Commerce ? Life throws you a curve ball – now what? The best approach to the situation is to catch the ball by gaining knowledge of the circumstances, embrace the situation and create a plan to conquer what is in front of you. Adversity is inevitable whether the circumstances are related to a death, illness, divorce, job loss, deployment, financial or family strain embracing the situation is the healthiest, most productive and truly only way to survive the obstacle. Realizing the only way to embrace a challenge is to recognize there is a challenge. We all have them, what we do with them is the key. Learn how to build a team of family, friends, co-workers and professionals to help tackle your challenge. Understand the importance of a personal toolkit to help embrace life’s challenges. Rachel has been helping people to reach their potential by embracing and learning from all of life’s complexities. She has been speaking passionately to national audiences of all sizes for 20+ years, addressing all aspects of change, growth, and acceptance that comes with embracing life challenges – those expected and unexpected. Including all aspects of loss, aging, caregiving, self-care, productivity and balance work/family life. She will inform and persuade you to be self-aware, take action, and continue to thrive regardless of your challenge. As a speaker, author, consultant and coach – her work has been featured in numerous publications, blogs, radio, conferences, company endorsements and Good Morning America. Her books: Best-selling - Living with Loss, One Day at a Time and Grief in the Workplace: A comprehensive guide for being prepared are a subset of her views helping her audiences live life to the fullest while embracing the challenge.